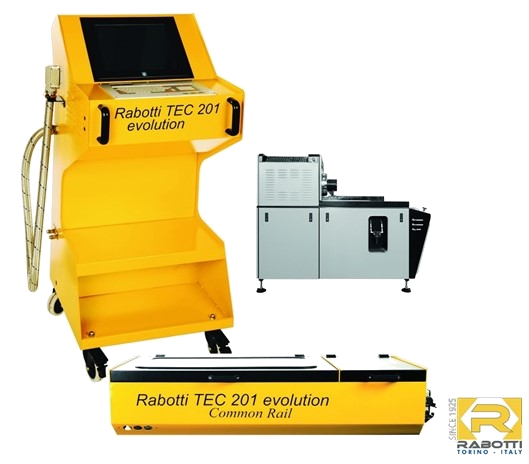 TEC201 Evolution is the CR solution designed for combination with a traditional multi-brand bench already installed in the Diesel workshop. Taking advantage of the motorisation of the bench installed, the simulator tests the injectors and the CR pumps in complete observance of the OEM specifications. Possibility of Bosch, Denso, Delphi and Siemens coding and 2500 bar hydraulics make the machine ideal to keep up with technology without losing out on past investments.